This page tells you information about us and the legal terms and conditions (terms) on which we sell any of the goods (goods) listed on our website (our site) to you. These terms will apply to any contract with us for the sale of goods to you. Please read these terms carefully and make sure that you understand them, before ordering any goods from our site. Please note that before placing an order you will be asked to agree to these terms. If you refuse to accept these terms, you will not be able to order any goods from us. We amend these terms from time to time as set out in clause 5. Every time you wish to order goods, please check these terms to ensure you understand the terms which will apply at that time. These terms, and any contract with us, are only in the English language. 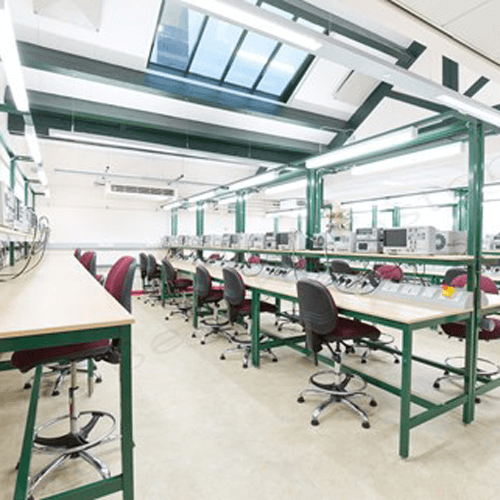 1.1 BenchMaster Limited, a company registered in England and Wales under company number 2069754 and with its registered office at BenchMaster Limited, units 10/11 Egmont Street, Mossley, Ashton-Under-Lyne, England. OL5 9PY (We/Our/Us). 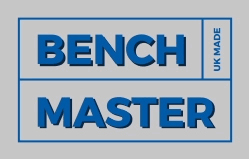 We operate the website www.benchmaster.co.uk. Our main trading address is Riverside Estate, Egmont Street, Mossley, Ashton-under-Lyne, OL5 9PY. Our VAT number is 4574 073 38. 2.1 The images of the goods on our site are for illustrative purposes only. Although, we have made every effort to display the colours accurately, we cannot guarantee that your computer’s display of the colours accurately reflect the colour of the goods. Your goods may vary slightly from those images. 4.1 You will be guided through the steps you need to take to place an order with us on our site. Our order process allows you to check and amend any errors before submitting your order to us. Please take the time to check that the details of your order are complete and accurate at each page of the order process. 4.3 We will confirm our acceptance of your order by sending an e-mail to you that confirms that the order will be processed within 48 hours of receipt or as soon as reasonably practicable thereafter (order confirmation). The contract between you and us will only be formed when we send you the order confirmation. 4.4 If we are unable to supply you with the goods, for example because of an error in price or should any items be unavailable, we will inform you of this by e-mail and we will not process your order. In the event you have already paid for the goods, we will refund you the full amount including any charges for delivery as soon as possible. 4.5 If you think that there is a mistake or require any changes after receiving your order confirmation, please contact us to discuss as soon as possible or no later than two days after receiving your order confirmation. We will confirm any subsequent changes to your order in writing to avoid any confusion between you and us. Where this means a change in the total price of the goods, we will notify you of the amended price in writing. 4.6 If you wish to cancel an order before it has been fulfilled, please see your right to do so in clause 14. Unfortunately, in the case of made-to-measure goods you will not be able to cancel your order because we make these goods to your specific requirements. In the event that you wish to correct a mistake or require any changes to an order for made-to-measure goods, then you must have contacted us within two calendar days following receipt of your order confirmation. 4.7 We shall assign an order number to the order confirmation and inform you of it when you receive the order confirmation from us. Please quote the order number in all subsequent correspondence with us relating to your order for the goods. 4.8 We reserve the right at all times to reject any order placed by you, in whole or in part, at our discretion. (b) Will be valid for 28 days only from the date of issue. 5.1 We may revise these terms from time to time to reflect changes in relevant laws and regulatory requirements. 5.2 Every time you order goods from us, the terms in force at the time of your order will apply to the contract between you and us. 5.3 If we have to revise these terms under clause 5.1, we will contact you to give you reasonable advance notice of the changes and let you know how to cancel the contract if you are not happy with the changes. You may cancel either in respect of all affected goods or just the goods you have yet to receive in accordance with clause 14. 6.1 If and to the extent we make and/or customise the goods according to the measurements and specifications you provide us with, and not according to the suggested sizes and configuration that may be set out from time to time on our site, then please make sure that your measurements and specifications are correct and accurate. We may notify you when and if the goods ordered are made-to-measure goods. 6.2 Unfortunately, we cannot accept the return of made-to-measure goods if the reason for the return is because you provided us with incorrect measurements and/or specifications. However, this will not affect your legal rights as a consumer in relation to made-to-measure goods that are faulty or not as described. Advice about your legal rights is available at your local Citizen’s Advice Bureau or Trading Standards office. 7.1 Please note that timescales for delivery and delivery charges will vary depending on the availability of the goods and your address. Unfortunately, we do not accept orders from or deliver to addresses outside the UK when such orders are made through our site. 7.2 We will contact you with an estimated delivery date, which will be within 30 days after the day on which we accept your order and provided you with an order confirmation (save as otherwise agreed with us). Occasionally our delivery to you may be affected by an Event Outside Our Control. See clause 13 for our responsibilities when this happens. 7.3 If you have asked to collect the goods from our premises, you can collect the goods from us at any time during our working hours of 08:30 to 16:30 on weekdays. We reserve the right to charge you a fee of £5.00 per day for storage at our discretion in respect of each item, should you fail to collect the goods within 30 days following confirmation of your order for (save as otherwise communicated by Us). (b) To charge you a fee of £5.00 per day for storage at our discretion in respect of each item that is returned to our premises. 7.5 If we are not able to deliver the whole of your order at one time due to operational reasons or should any items be unavailable, We will deliver the order in instalments. We will not charge you extra delivery costs for this. 7.7 If you do not wish to cancel your order straight away, or do not have the right to do so under clause 7.6, you can give us a new deadline for delivery, which must be reasonable, and you can cancel your order if we do not meet the new deadline. 7.8 If you do choose to cancel your order for late delivery under clause 7.6 or clause 7.7, you can do so for just some of the goods or all of them, unless splitting them up would significantly reduce their value. If the goods have been delivered to you, you will have to return them to us or allow us to collect them, and we will pay the costs of this. After you cancel your order we will refund any sums you have paid to us for the cancelled goods and their delivery. 7.9 Delivery of an order shall be completed when we deliver the goods to the address you gave us, or you, or a carrier organised by you collect them from us and the goods will be your responsibility from that time. 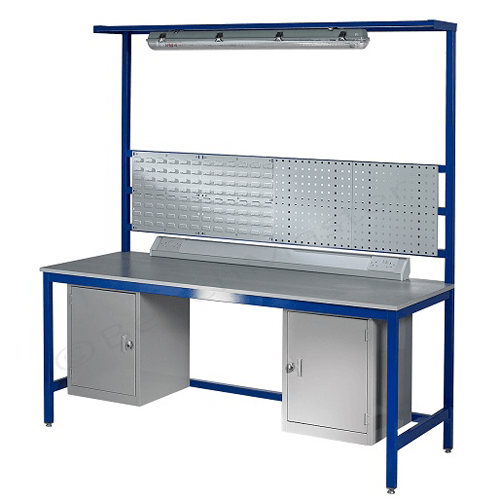 7.10 Carriage is included in our prices for all standard workbenches to most UK mainland destinations. For highlands and islands we charge a contribution of £50 per item. However in some instances this can be more. For items under £150.00 a carriage charge of £17.50 + VAT will apply. 7.11 Request a booking in service means the local courier will contact you to arrange a mutually convenient delivery time. 8.1 In the event that you wish to place an order for goods from outside the UK and/or for delivery to an address outside the UK, this must be communicated to us separately and cannot be ordered through our site. 9.1 Risk in the goods will pass to you on completion of delivery or when the goods are collected from us in accordance with clause 7.9. 9.2 Title to the goods will only pass to you once we have received payment in full for the goods. (c) Provide us with such information concerning the goods as we may request from time to time. 11.1 The price of the goods will be as quoted on our site at the time you submit your order and will be confirmed once you receive your order confirmation. We use reasonable endeavours to ensure that the prices of goods are correct at the time when the relevant information was entered onto the system. However, please see clause 11.6 for what happens if we discover an error in the price of goods you ordered. 11.2 Prices for our goods may change from time to time, but changes will not affect any order you have already paid. 11.3 Our site shows prices inclusive and exclusive of VAT. However, if the rate of VAT changes between the date of the order and the date of delivery or performance, we will adjust the rate of VAT that you pay, unless you have already paid for the goods in full before the change in the rate of VAT takes effect. 11.4 If any delivery charges are to be applied to your order in addition to the price for the goods, such costs will be added to the total amount due and will be quoted on our site at the time you submit your order. This will be confirmed once you receive your order confirmation. 11.5 Where we are providing goods to you, you must make payment for goods in advance by way of bank automated credit or by credit/debit card (save as agreed otherwise). We accept payment by Visa, MasterCard and Maestro. 11.6 Our site contains a large number of goods. It is always possible that, despite our reasonable endeavours, some of the goods on our site may be incorrectly priced. If we discover an error in the price of the goods you have ordered we will contact you in writing to inform you of this error and we will give you the option of continuing to purchase the goods at the correct price or cancelling your order. We will not process your order until we have your instructions. If we are unable to contact you using the contact details you provided during the order process, we will treat the order as cancelled and notify you in writing. Please note that if the pricing error is obvious and unmistakeable and could have reasonably been recognised by you as a mispricing, we do not have to provide the goods to you at the incorrect (lower) price. 12.2 Where we have supplied the goods to you as a consumer for domestic and private use only, you agree not to use the goods for any commercial, business or re-sale purpose, and we have no liability to you for any loss of profit, loss of business, business interruption, or loss of business opportunity. 13.1 We will not be liable or responsible for any failure to perform, or delay in performance of, any of our obligations under these terms that is caused by an (Event Outside Our Control). 13.4 You may cancel the contract if an Event Outside Our Control takes place and you no longer wish us to provide the goods. Please see your cancellation rights under clause 14. We will only cancel the contract if the Event Outside Our Control continues for longer than four weeks in accordance with Our cancellation rights in clause 15. 14.1 You have a legal right to cancel a contract under the Consumer Contracts (Information, Cancellation and Additional Charges) Regulations 2013 during the period set out below in clause 14.3, where you are a consumer within the definition of those regulations. This means that during the relevant period if you change your mind or decide for any other reason that you do not want to receive or keep the goods, you can notify us of your decision to cancel the contract and receive a refund. Advice about your legal right to cancel the contract is available from your local Citizens’ Advice Bureau or Trading Standards office. 14.2 However, this cancellation right does not apply in the case of goods that are customised to your specifications or are clearly personalised as set out in clause 6 (made-to-measure Goods). Your contract is for goods (which are not delivered in instalments on separate days). The end date is the end of 14 days after the day on which you receive the goods. Goods (single item) which are delivered in instalments on separate days. Goods (multiple) which are delivered on separate days. The end date is 14 days after the day on which you receive the last instalment of the goods or the last instalment of the goods ordered separately. Example: if we provide you with an order confirmation on 1 January and you receive the first instalment of your goods or the first instalment of the goods ordered separately on 10 January and the last instalment of your goods or the last instalment of the goods ordered separately on 15 January you may cancel in respect of all instalments and any or all of goods ordered separately at any time between 1 January and the end of the day on 29 January. Your contract is for the regular delivery of goods over a prescribed period. The end date is 14 days after the day on which you receive the first delivery of the goods. Example: if we provide you with an order confirmation on 1 January in respect of goods to be delivered at regular intervals over a year and you receive the first delivery of your goods on 10 January, you may cancel at any time between 1 January and the end of the day on 24 January. Please note that 24 January is the last day of the cancellation period in respect of all goods to arrive during the year. 14.4 To cancel a contract, you just need to let us know that you have decided to cancel. The easiest way to do this is to email us. If you use this method we will e-mail you to confirm We have received your cancellation. 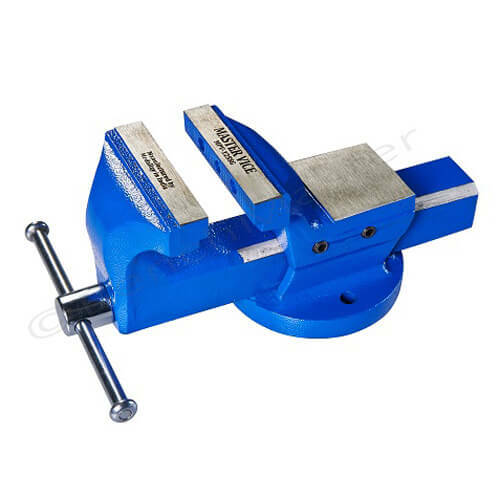 You can also e-mail us at sales@benchmaster.uk or alternatively, by telephone on 01457 837146 or by post to Riverside Estate, Egmont Street, Mossley, Aston-under-Lyne, OL5 9PY. If you are e-mailing or writing to us please include details of your order to help us to identify it. If you send us your cancellation notice by e-mail or by post, then your cancellation is effective from the date you send us the e-mail or post the letter. (a) Refund you the price you paid for the goods. However, please note we are permitted by law to reduce your refund to reflect any reduction in the value of the goods, if this has been caused by your handling them in a way which would not otherwise be considered reasonable, or the goods are no longer in a saleable condition. 14.6 If you have returned the goods to us under this clause 14 because they are faulty or mis-described, we will refund the price of the goods in full, together with any applicable delivery charges, and any reasonable costs you incur in returning the item to us. 14.7 We will refund you to the same bank account or credit card/debit card used to purchase the goods. 14.9 Because you are a consumer, we are under a legal duty to supply goods that are in conformity with this contract. As a consumer, you have legal rights in relation to goods that are faulty or not as described. These legal rights are not affected by your right of return and refund in this clause 14 or anything else in these terms. Should you require advice about your legal rights, this is available from your local Citizens’ Advice Bureau or Trading Standards office. (c) Where we have already started work on your order for made-to measure goods by the time we have to cancel under clause 15(a), We will not charge you anything and you will not have to make any payment to us. 16.1 If you have any questions or if you have any complaints, please contact us. 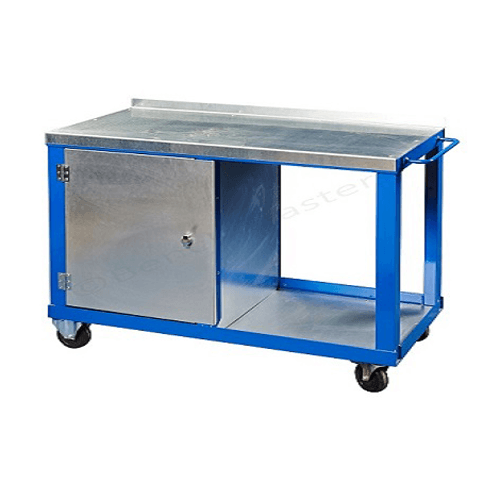 You can contact us by telephoning on 01457 837146 or by e-mailing us at sales@benchmaster.co.uk. 16.2 If you wish to contact us in writing, or if any clause in these terms requires you to give us notice in writing, you can send this to us by e-mail, by hand, or by post to BenchMaster Limited at Riverside Estate, Egmont Street, Mossley, Aston-under-Lyne, OL5 9PY, or to: sales@benchmaster.co.uk. We will confirm receipt of this by contacting you in writing. If we have to contact you or give you notice in writing, we will do so by e-mail, by hand, or by pre-paid post to the address you provide to us. 17.3 You agree that we may pass your personal information to credit reference agencies and that they may keep a record of any search that they do. 17.4 We will not give your personal data to any other third party. 18.1 When in these Terms, we refer to “in writing”, this will include e-mail. 18.2 We may transfer our rights and obligations under these Terms to another organisation, and we will always notify you in writing if this happens, but this will not affect your rights or our obligations under these terms. 18.6 These terms are governed by English law. You and we both agree to submit to the exclusive jurisdiction of the English courts.